The She Jumps team was ready to board the lift at Berkshire East for our third annual Get the Girls Out event there on Jan. 9 when a woman and her pre-teen daughter approached us. They wanted to participate, but mom was a new skier, and the instructor providing beginner lessons for the event had already headed out to ski. Could we help? What happened next was emblematic of the spirit of the night, which involved glow-stick necklaces, girraficorn stickers and plenty of lady-shred pride among the three dozen participants. We boarded the lift with the pair, and set out for a beginner trail. We gave mom some basic tips—press her shins into the front of her ski boots, and make turns to control her speed—and started down the mountain. Within a few turns, she was looking more confident and less tentative, and that progress continued until we reached the steepest section of the trail, where she stopped short, unsure of her next move. Slowly, she proceeded down the hill, shaky at first, but gaining strength as she neared the bottom. By the time she made her last turn, she was grinning ear-to-ear, having proven to herself in one small way that she was stronger and better than she had previously believed. 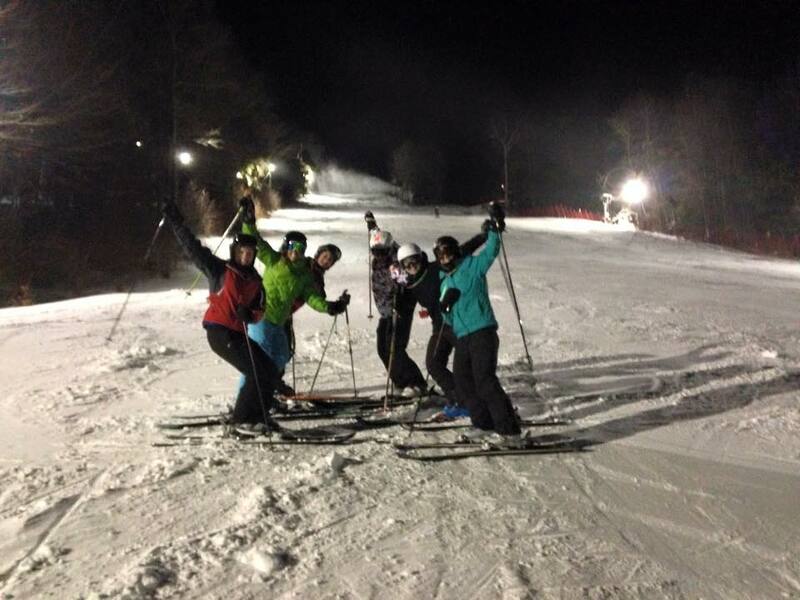 I think that every skier and snowboarder who took part in the evening felt that same rush of joy, whether it was from learning a new skill or making a new friend. My joy came from serving as a She Jumps ambassador for the first time at an official She Jumps event. 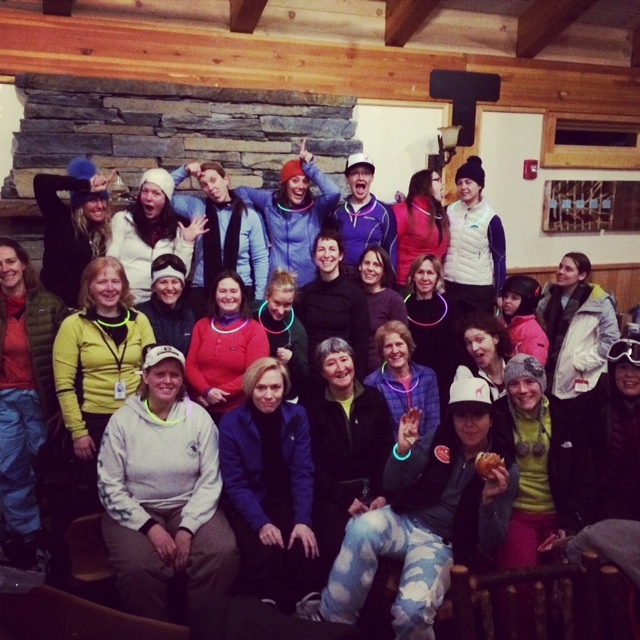 I learned that there’s only one thing better than taking part in a skier-girl dance party, and that’s helping to lead the skier-girl dance party. As an ambassador to this amazing nonprofit, which aims to increase the participation of females in outdoor activities, I’ll get to plan a few of my own events. Next up: I’ll be attending the Almost Full Moon Trek to Chocolate Decadence—a snowshoe/hike up Bromley, followed by a chocolate tasting at the top of the hill and a ski down. Stay tuned for details—I hope to see you all there! I love how you are so encouraging of other people. You’re a gem, Amy! So envious you are doing the Full Moon Trek. That sounds incredible.